Riders looking for a taste of retro-flavored mo-suspension and specially tuned powerplants, today’s torcycling are indeed living in a boom market. 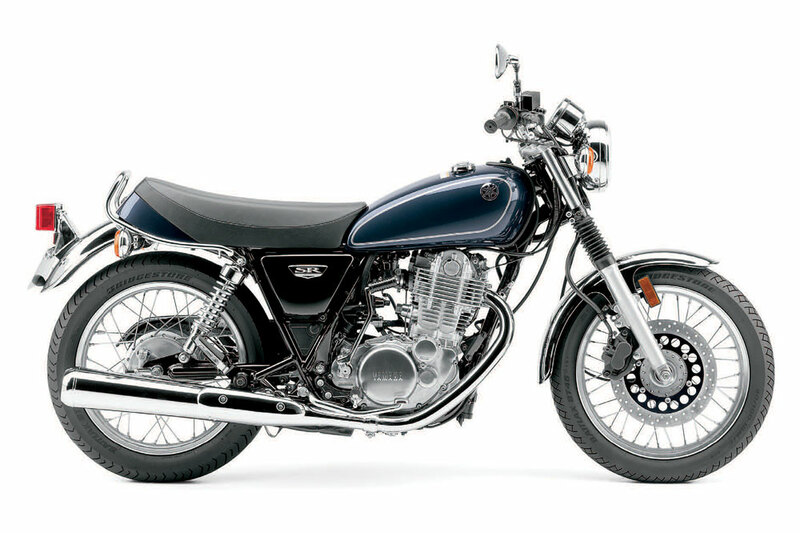 modern retros are anything but second-tier motorcy-After decades of being engineering oddities cles. Available in styles, displacements and powerbands and rare, underdeveloped exercises in affixing to suit everyone from novices to experienced road-old school bodywork to otherwise modern streetbikes, burners, the plethora of machines means the toughest modern classics have recently earned their rightful choice facing modern classics buyers lies in choosing place alongside the manufacturers’ other offerings as a just one machine. And that’s the sort of problems we all category all their own. Designed with bespoke frames, enjoy facing. Revamped and restyled after its 2013 launch, the big, bold Honda four has been reborn with updated styling, a six-speed transmission, improved suspen.sion at both ends and a lighter, four-into-two exhaust system. Its brawny dimensions – 540-pound curb weight, 58.7” wheelbase and wide early-superbike handlebars – make for a seriously stable retro capable of touring, backroads scratching and even commut.ing duties. The funky brat-style seat and 1970s-in.spired 4.4-gallon fuel tank with new vertical striping are good-looking in a very Freddie Spencer racebike way. Both the 41mm forks and gold piggyback shocks are preload-adjustable while racy four-piston front To-kico calipers are part of a standard ABS package. 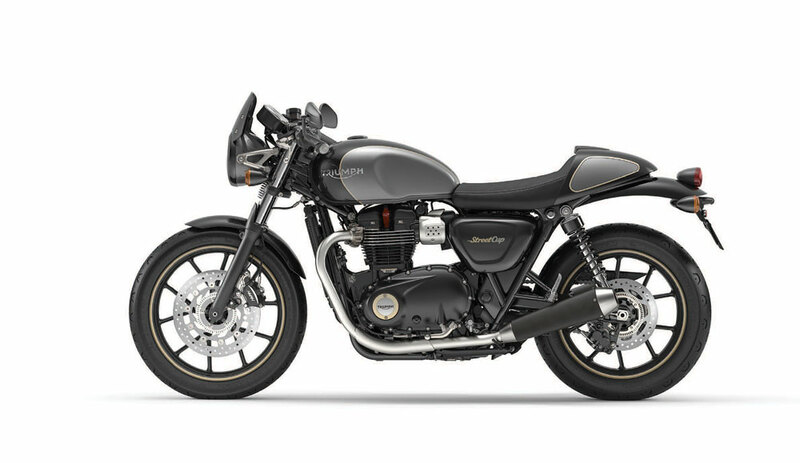 Wads of accessible torque from the all-new water-cooled, 1,200cc parallel twin engines makes the newest incarnation of Triumph’s popular retro Bonneville one sought after motorcy.cle. 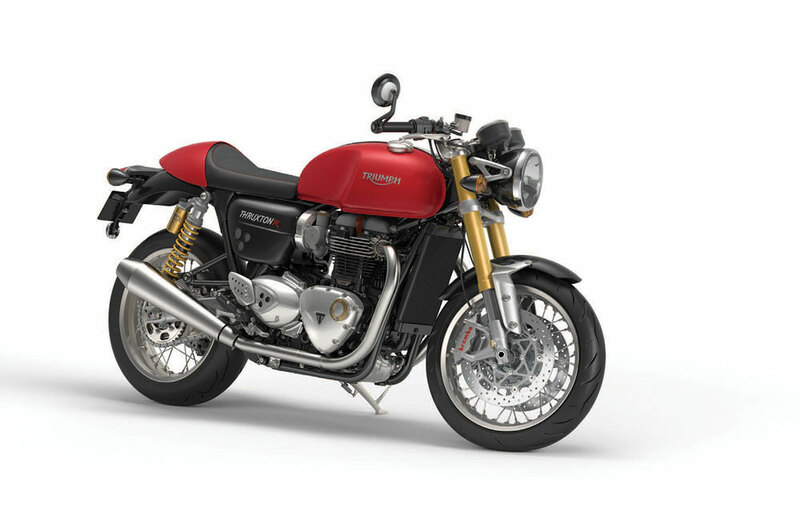 The standard Thruxton shares the same engine and chassis as the uprated R version (which costs $4,000 more) but the all-singing R wears fully-adjustable Showa big piston racing forks, radial Brembo front brakes and unbeatable Ohlins suspension at the rear. If track days aren’t in your future plans, the standard Thrux is more than enough motorcycle, doling out 89 foot-pounds of creamy torque at just 4,650 RPM and 94 horsepower at the top end. Handling and looks are both improved over the wheezy, 60 BHP predecessor, while ABS and traction control only sweeten the deal. A 160-item deep factory accessory line will have your holiday wish list booming for years. 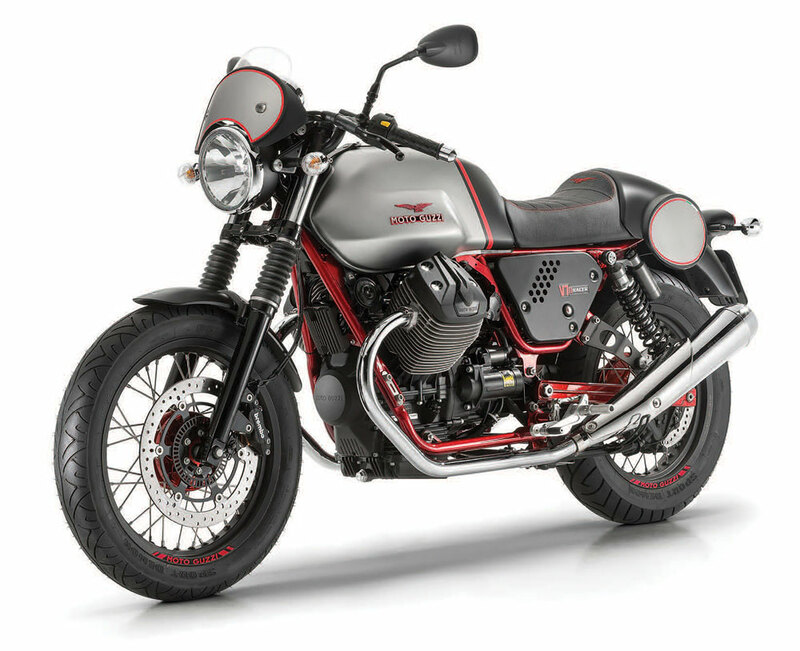 With period-perfect Italian styling and Moto Guzzi’s venerable cross-frame engine configura.tion, the quirky-cool V7 has proven the 96-year old firm’s savior, selling like cappuccino in a Rome café. Shaft driven and easy to ride, the air-cooled, light.weight V-twin offers loads of character and fully modern amenities including traction control, ABS as standard plus a USB port, handy for charging smartphones (which can also be used as an on-board GPS with accessory handlebar mount). 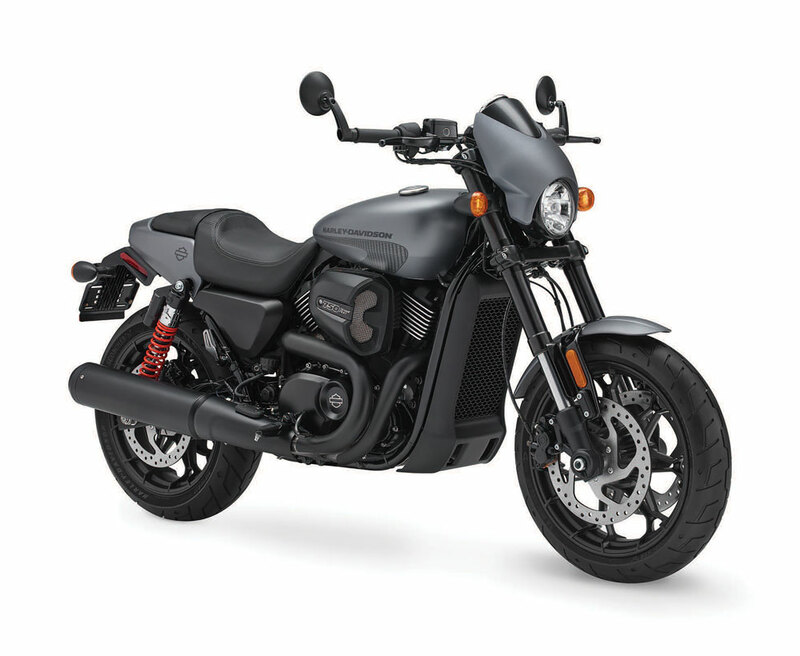 The two-valve-per-cylinder, 744cc engine pulses out a respectable 64 horsepower at 6,400 RPM and nearly 50 foot-pounds of torque, enough shove to make fast-lane highway work a breeze, while not feeling overpowered when cruising crowded city boulevards. A modest 460-pound curb weight means the single four-piston front Brembo brake with floating disc is fully capable of serious stop.ping power. Best in twisty backroads or cross-town burn-ups, the chromed-tank, number plate-equipped V7 Racer is retro riding fun at its finest. Built squarely upon the DNA (and the frame and suspension) of the world-class FZ-09 triple, Yamaha’s Sport Heritage flagship is one lairy, hairy and very quick streetbike. 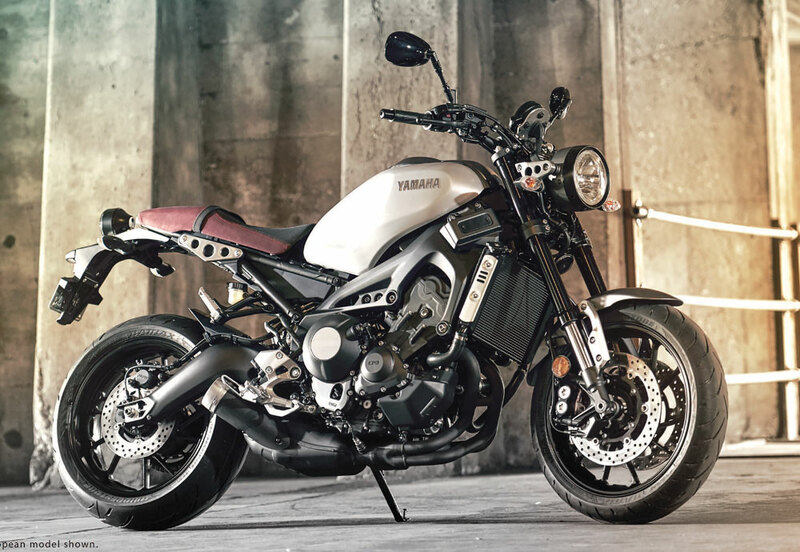 Though the looks are an oddball cross between an early Ducati Monster and a customized Euro.pean streetfighter, the XSR9 bris.tles with intricate styling touches, from its suede two-up saddle to its one-piece round gauge offering a flight deck worth of useful infor.mation. Tall, upside-down sport-bike forks are adjustable and the rear monoshock offers 5” of travel, rock-solid cornering and the sort of mad adrenaline rush once only available on sportbikes. A full elec.tronics package includes traction control and ABS while the 12.valve, water-cooled triple sends a crazed 112 horsepower to the rear wheel, creating that lusty, gravelly exhaust note unique to triples. 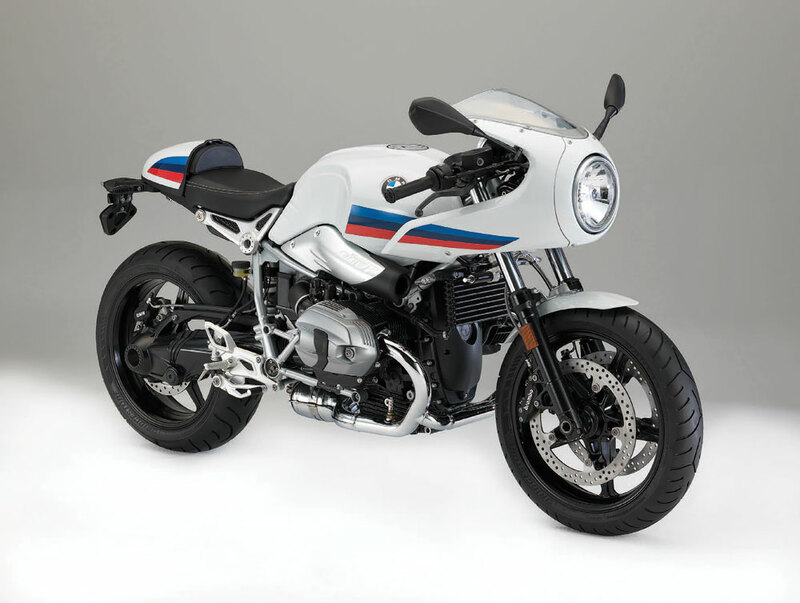 The worldwide success of BMW’s R nineT line has fostered its growth into a five motorcycle lineup with the jaw-dropping, half-faired Racer the Bavarian firm’s take on classic café racers of the 1970s. In addition to the styling which draws crowds wherever it’s parked, the R nine’s robust sales are largely attribut.able to the air-cooled lateral twin Boxer engine. Good for 111 horses and the sort of easily-accessed torque that threatens to make the six-speed gear.box superfluous, this is a steady (thanks to a 57” wheelbase) corner-carver that craves wide-open lanes, big throttle openings and gracefully arcing sweep.ers. Suspension is preload-adjustable only, and Brembo stoppers are top.notch in anyone’s book. Shaft drive, nat.urally, is smooth and unnoticeable (except at idle) and traction control is an extra $400. Some find the factory clip-on a bit on the low side, but once on the move, the Bee Em’s engineering makes this a thrilling, if not all-day comfy retro blaster. The second-tier lineup of Triumph modern classics is a smart, deeply enjoyable corral, despite lacking the big power of the Thruxtons. 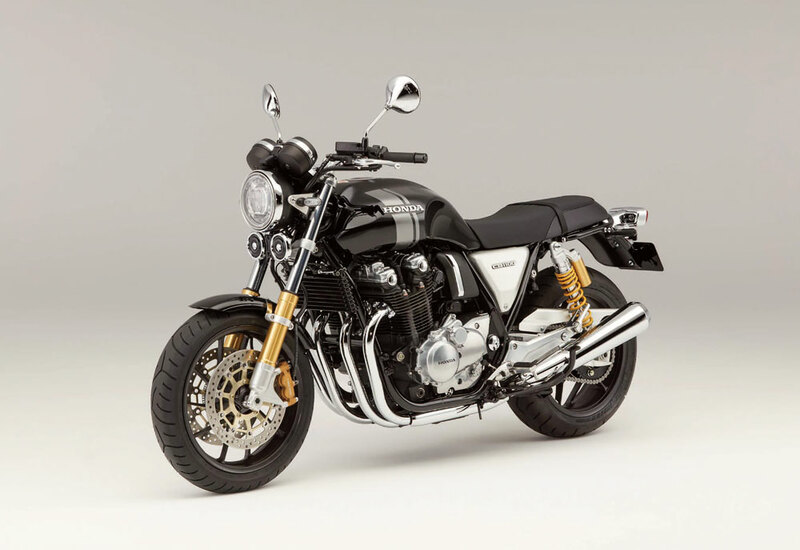 The café-styled Street Cup utilizes a 900cc parallel twin power-plant, but this one offers perky acceleration due to an entirely new design launched last year. The Street Cup has all the detailing that owners were previously expected to do for themselves, right down to a café seat cowl, two-tone paint, slightly noisy dual exhaust and clubman handle.bars. A low seat height, ABS, a torque-assist clutch and ride-by-wire controls make this an easy bike to move rapidly on, while traction control makes wet weather oper.ation a breeze. A cleverly-con.cealed radiator (nearly) hides the eight-valve engine’s water-cool.ing system, while mag wheels, rearset pegs and 10,000-mile serv.ice intervals all add up to a winning formula. CRM Verdict: Not as fast as the Thruxton, but easier to ride and good-looking. 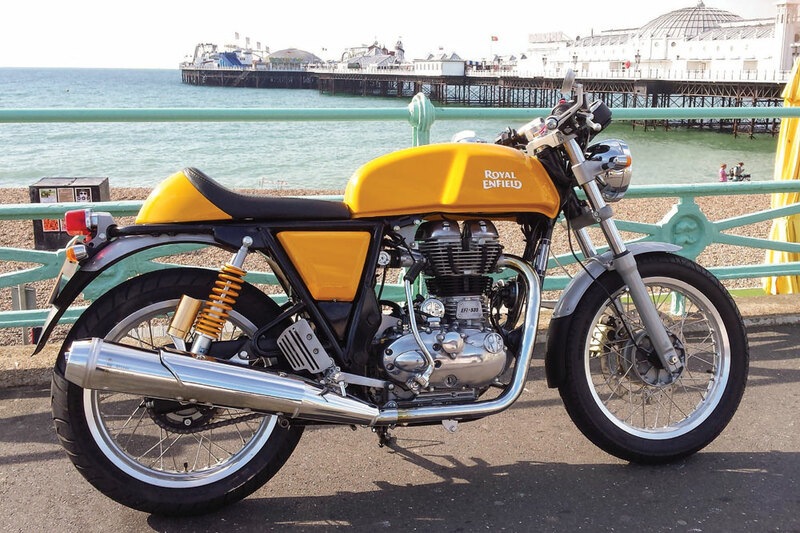 As uncomplicated as a café racer should be, the air-cooled 535cc Enfield single is the closest we 21stcentury types get to time travel. Sure, there are modern amenities like Italian Paoli suspension front and rear, Brembo calipers and electric starting, but the healthy vibes, analog clocks and spirited handling are more BSA than ABS. Few modern bikes evoke more grins per mile than the surprisingly comfy GT, which has lovely lines in.spired by its 1960s namesake, a stout, Harris Brothers-designed chassis and just enough oomph (28 horsepower) to make a day of backroads corner carving a blast. Real functioning kickstart a plus (for those of us old enough to remember how to use it). markets in all streetbiking means performance and styling up.grades are endless and the price tag is barely dearer than a bus pass in most cities. 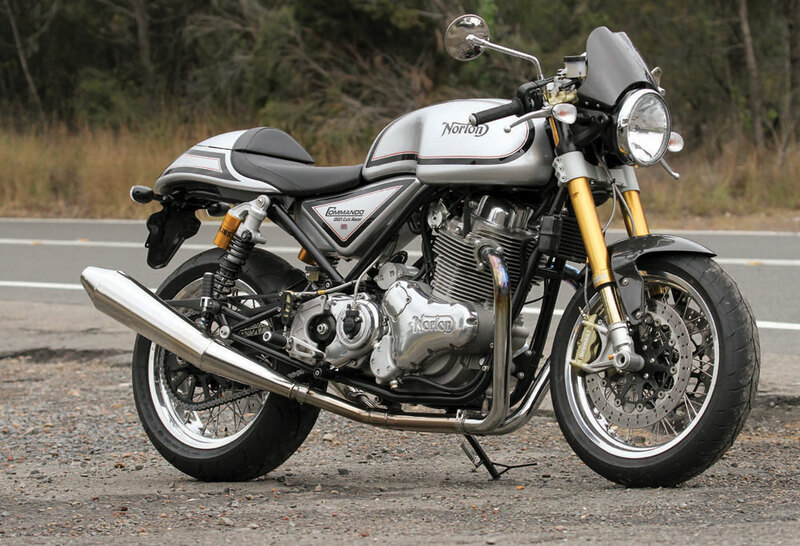 Possibly the most desirable and rare of the current crop of mod.ern retros, Norton’s 961 twin has plenty to live up to in carrying on the vaunted Commando name. The results are both raw and captivating, with a slight kit bike feel just overcome by the use of top-quality components from Ohlins (forks and shocks) and Brembo (brakes, naturally). Based on Kenny Dreer’s 1990s concepts, the 961 has great fuel.ing, eye-popping looks and character to spare, but suffers from a tiny dealer network, poor parts backup and an exclusive entry price. However, slow sales have forced price rollbacks in re.cent months, and the awesome ride – imagine a Harley XR 1200 with a Ducati chassis – make it (nearly) worth the asking price. The middleweight, water-cooled Harley twins, built for the booming Asian mar.ket, have sold slowly in North America. However, this re-tooled Street 750 has enough blacked-out street cred to make a dent among younger riders. Styled as a sort of urban dragster with a lengthy 59” wheelbase and lazy 27 degrees of rake, H-D’s marketing team have never.theless imbued the SR with go-fast goodies including 43mm inverted forks, seven-spoke cast alloy wheels, ad.justable rear piggyback shocks and grippy Michelin Scorcher 21 radial tires on the 17” wheels. At 519 pounds, the Street Rod is no featherweight, but care.ful engineering means a 40-degree lean angle, making this machine suitable for a day of rapid canyon carving. Belt final drive is worry-free and leaves no grease. Matte paint looks best in Charcoal Denim, and ABS costs $400 extra. CRM Sez: Master stoplight quick launches and rule the boulevards. $8,699 in Vivid Black.